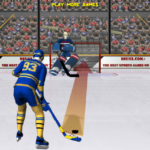 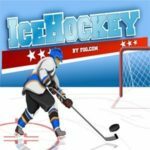 Body checking is used a lot in ice hockey and it is all about have enough strength and techniques to make the best body check. 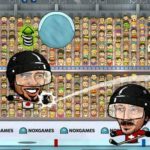 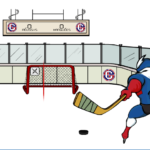 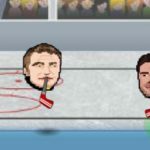 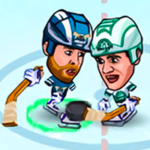 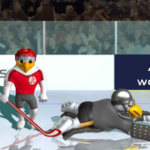 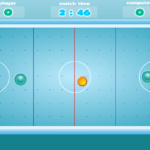 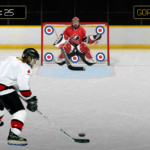 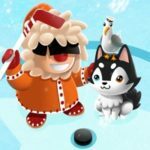 In this ice hockey skating game you need to skate as fast as you can and deliver a hard body check against the hawk goalkeeper. 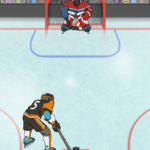 Try to knock him as far across the ice using your special body checking techniques. 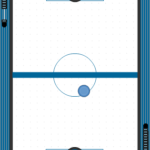 To start skating over the ice and gain some speed you need to click your left mouse button as quickly as you. 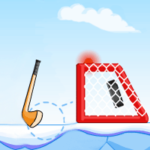 Skate around the rink till you get enough speed. 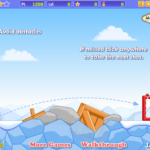 You will see your speed shown on the indicator in bottom left corner of the screen. 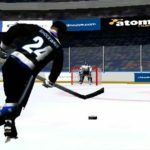 Do you have what it takes to become a real body checking killer?